I find this article interesting as we were discussing importing, exporting, and globalization in class on Tuesday. Although globalization can be portrayed as a bad thing, especially here in the US, this article emphasizes the point that it is not. I agree that with the global economy growing faster and faster each day, the US has many potential partnerships that we could pursue and be successful with. It is good to realize globalization does not mean “one way importing” for the United States. As the third largest exporters in the world, the US also benefit from globalization and US actually plays a critical role promoting the freer movement of goods, services and capital in the world, such as the establishment of the “Bretton wood” system after WWII. For TMD/TM students, I hope you can realize that in today’s world, the business model for apparel company is “produce everywhere” and “sell everywhere”. I agree that the growth of the global economy is providing US companies with the ability to seek out new markets and customers and expand businesses. It does not seem like the US will be restricting imports any time soon, for even though it sounds like a simple solution to our country and industry’s economic problems, we are already one of the largest importing countries in the world. This means a sudden halt would drastically effect our own market, as well as various other market economies throughout the world. By setting up negotiations such as the TPP, we could secure trade between emerging economies such as that of Vietnam, which would benefit both countries involved in the trade. 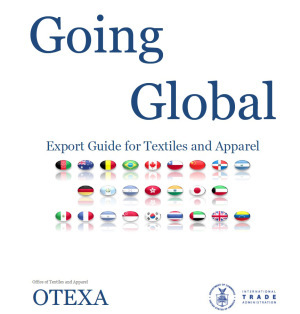 We can trade products that we specialize in, such as textile products, with countries that produce apparel, and in return, import the finished apparel products. This would help in stimulating both participating country’s economies.